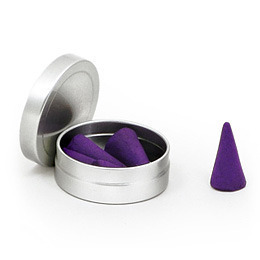 Travel sized tin filled with aromatic incense cones. Sleek, stylish, relaxing and transportable. Fragrances: assortment of jasmine, lemongrass, lavender, rose, sandalwood, cinnamon, patchouli, vanilla.